Buy Good quality electric spice grinder prices - Shandong Leader Machinery Co.,ltd. The peanut or walnut grinder machine is used to developed specifically for almonds, walnuts, peanuts, sesame seeds, spices, food seasonings and other oily substances. 1, The peanut or walnut grinder machine casing with crushed groove are S304 stainless steel polishing and grinding processing, in line with the standards of beauty and health. 2, The exterior design to meet users' needs, such as spare filters and brush, and other parts can be placed in the storage real, not the space. 3, The peanut or walnut grinder machineâs superstructure makes feeding more convenient. 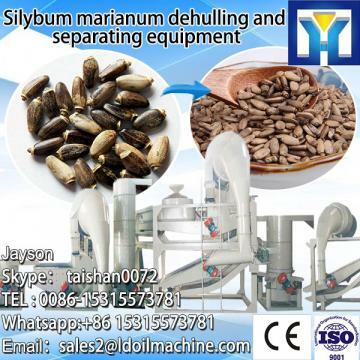 4, The peanut or walnut grinder machineâs replacing the filter quickly and easily, and continuous feed, a feed grinder. 5, Special tool design of the peanut grinder machine make grinding materials fasterly. Our company has engaged in producing and exporting Good quality electric spice grinder prices for many years, and until now, our machine has exported to overseas market, such as Brazil, India, Indonesia, Russia, Thailand and so on, and get the foreign customers' unanimous praise. We believe that you purchase Shandong Leader Machinery Co.,ltd. Good quality electric spice grinder prices is your best and sensible choice.